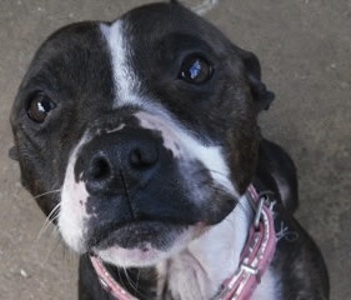 Rochdale Dog Rescue do great work helping the many pound dogs in their area to find spaces with rescues around the UK, which, as with most pounds in the UK right now, includes a large number of Staffies and Staffie crosses (they also rehome dogs occasionally too). This month RDR are holding a ‘Fantastic Fundraiser’ event to help cover some of the huge costs involved in rescuing the poundies, and there’s some really brilliant prizes up for grabs! First Prize – a Landrover Off-Road Half Day Experience at one of 8 centres throughout the UK – very kindly donated by the Hillendale Group. Second Prize – a Samsung 32″ Flat Screen Television with Freeview. Third Prize – £100 cash. It’s just £2 per entry and all you need to do is pick available dates between 1st September 2011 and 31st December 2012 on their forum calendar. Each date will be marked on the calendar with your name and the prize draw will be undertaken by an independent third party on the 30th September 2011. Please send in your entry and help this charity keep up their wonderful work helping so many Staffies and other breeds in the Rochdale area. Previous Article Lovely oldie Staffie girl, Madge, is looking for her new forever family – can you help?